I was really tired today for some reason. Probably because last night was a bit rough - Noah got stomach sick for the first time, which was pretty scary for all of us. So he was up late, and I didn't sleep very well - nervousness, plus, he slept in our bed with us just in case, and he's quite the tiny bed hog. For dinner, I made something I like but haven't made in years: zucchini pasta. 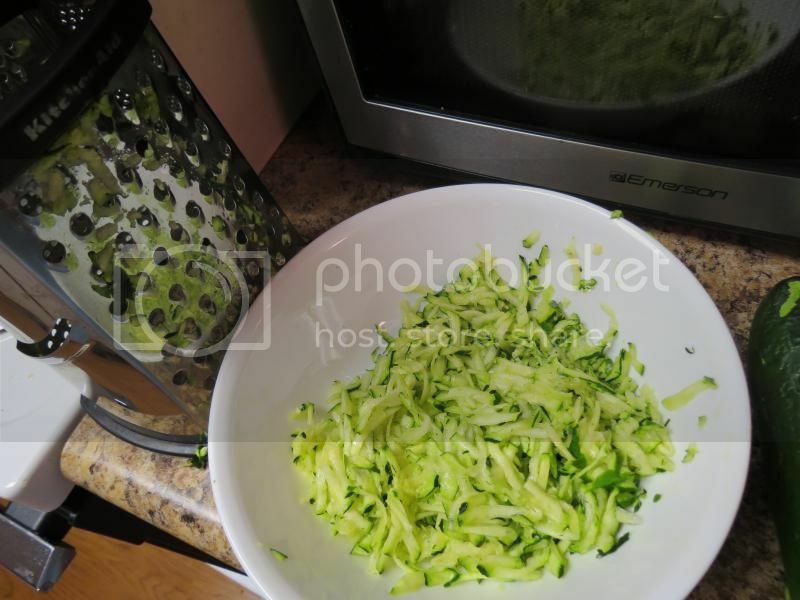 It's super easy - I use my box grater and just shred a couple of zucchini. In the past, I've made it with a creamy avocado spinach sauce. I will definitely be making that soon, avocados have been really good lately. This time, I served it with some leftover tomato and veggie sauce I had frozen after I made spaghetti squash a few weeks ago. I also made some really, really good turkey meatballs - I got the spices perfect this time. Sage, black pepper, a tiny bit of salt. They were excellent. I went to the gym and rode the stationary bike for 45 minutes. 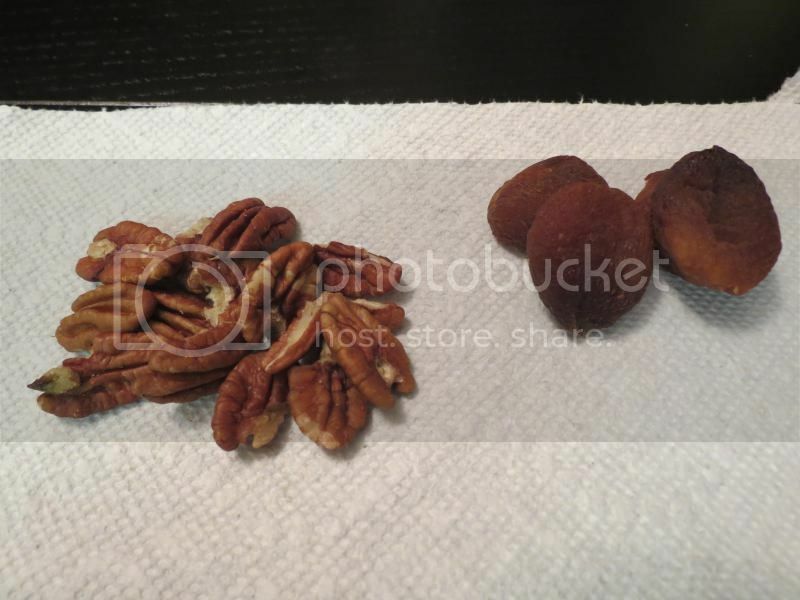 For a snack, I had some apricots and raw pecans. We got unsulphured apricots at Trader Joe's when we were in Minnesota because (a) there are no Trader Joe's within an hour's drive and (b) they cost significantly less at TJ's than they do in local stores or online. ... then rolled them up. It was so delicious! 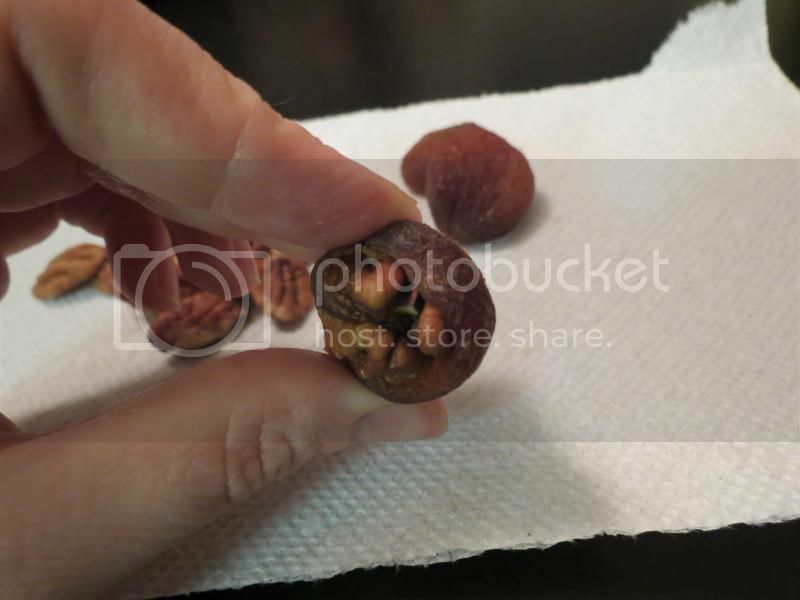 The apricots are so naturally sweet - with the pecans, it seriously tastes like pecan pie. Except not excessively sweet and definitely healthier! I've used zucchini for pasta before and it is awesome. Dinner looked great! What a great snack idea! Yum! Sorry your little one is not feeling well. Hope he's feeling better this evening. Your post inspired my lunch today! 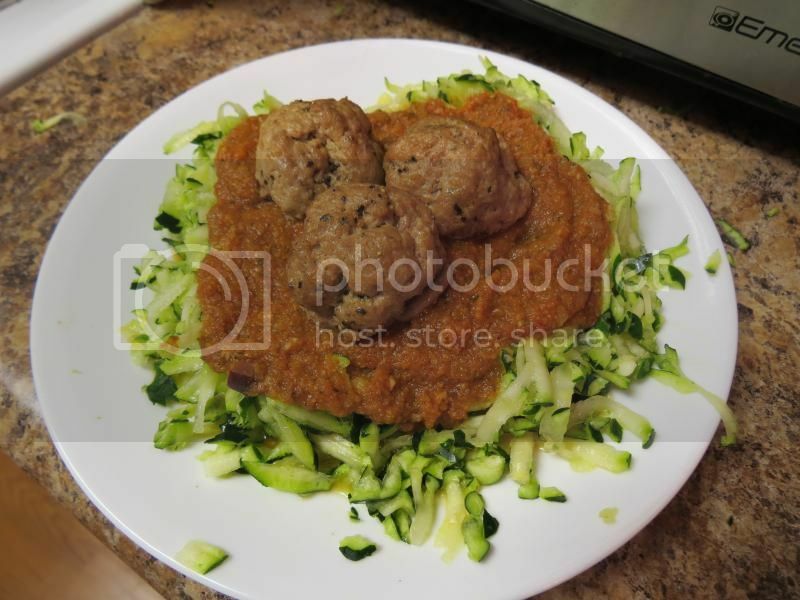 Zucchini and spaghetti squash with sauce :) Spaghetti squash is a staple, but I had not done zucchini in forever! 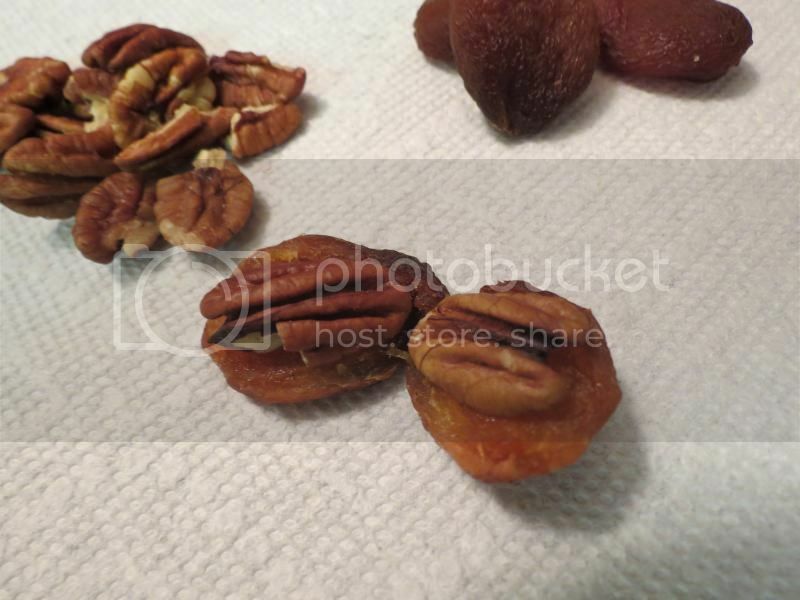 :) The apricots and pecan sounds yummy!